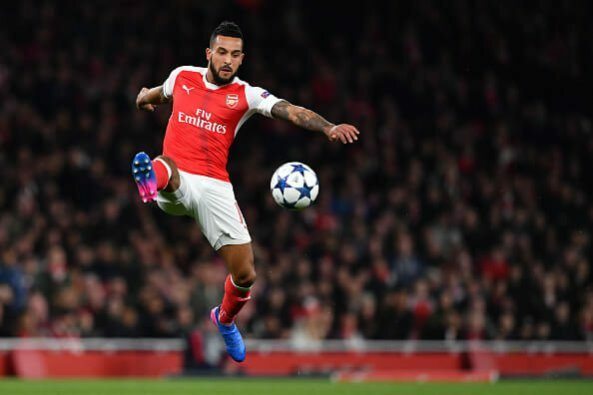 WHAT’S NEXT FOR THEO WALCOTT? Long serving Gunners player Theo Walcott is facing an important career quagmire at the moment. He joined the club in 2006 and has established a decent profile. However, he has rarely managed to match expectations for over a decade. At 28 years, he is not a sure starter in the Arsenal set-up anymore and with the loss of his spot in the England national side, he is desperate for regular game time. He joined the Three Lions at 17 years when Sven Goran-Eriksson handed him his debut. He wants to remain in the team under Gareth Southgate but the coach demands regular football at the highest level. 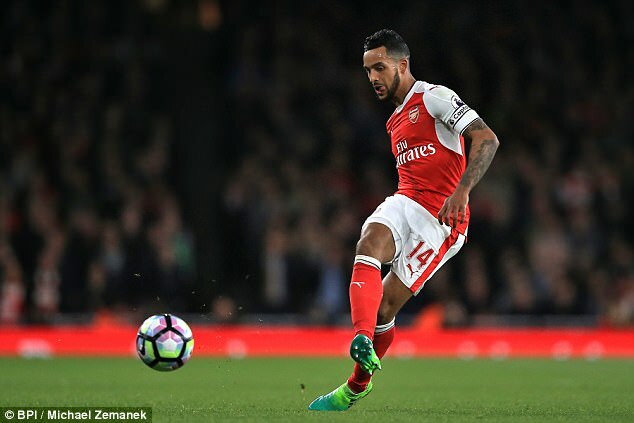 Arsenal winger Theo Walcott has no regrets about the comments made following the Gunner's 3-0 thumping at the hands of Crystal Palace last season. The England international said that the Eagles had wanted it more during their demoralising loss, and this did not go well with the club's faithful, who demanded manager Arsene Wenger to step down from his duties. Premier League side West Ham United are keen on landing Arsenal winger Theo Walcott this summer. The Hammers are targeting a £25 million bid for the embattled player. Walcott has failed to make his mark in the international scene due to his inconsistencies playing at the Emirates. Arsenal star Theo Walcott’s career is winding down faster than he could imagine. The winger is snubbed at club and country despite showing sparks of brilliance few years back. The 28-year old star is set to remain for yet another year at the Emirates, though some reports claim he might exit the team. Arsenal star forward Theo Walcott was pictured enjoying the sun at a beach with his family. The former Southampton man was with his wife Melanie and son Finley as he made the best of an extended holiday after being snubbed for the Three Lions international fixtures. 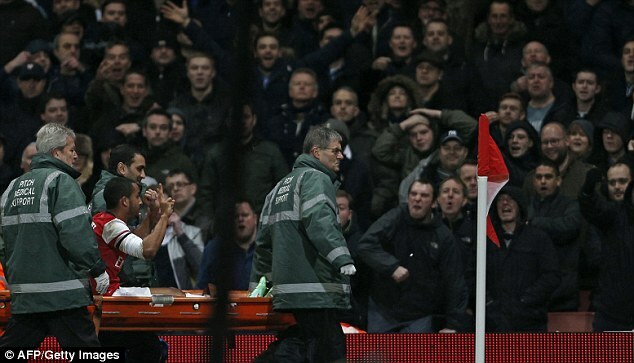 Tottenham Hotspur fans taunted Arsenal forward Theo Walcott in their 2-0 defeat over the Gunners at White Hart Lane in a Premier League fixture. The fans called Walcott “a sh*t Aaron Lennon.” As the Three Lions star warmed up down the touchline for his appearance the home fans kept chanting “you’re just a s**t Aaron Lennon and “Theo what’s the score,” according to reports. Theo Walcott is going through one of his best seasons as a player of Arsenal. The English player has so far, scored Premier League 10 goals in 24 appearances which is actually the highest amount of goals that Walcott has scored with an Arsenal jersey in his entire playing career except for the season of 2012-13 which is when he managed to score 14 league goals. Arsenal forward Theo Walcott has apologized to the fans for the team performance against Crystal Palace. He said that he understands the fans reactions and that the players are definitely disappointed with the way they perform in this game. He stated that the team was simply not good enough on the day and that Crystal Palace deserves to win the game. He said that the Palace players showed more desire and determination and this is why they won the match. Arsenal decided to go without Theo Walcott in the first leg of the Champions League game against Bayern Munich. It was a major surprise considering that Walcott has been in great form over the last few weeks. The 27-year-old only recently scored hat tricks against the likes of Southampton, while also scoring in the 2-1 loss against Manchester City. Yet, Arsene Wenger has explained the reason for dropping Walcott and going for a defensive formation against the German club. He said that Arsenal have recently come up against Bayern Munich with the second leg at the Allianz Arena. However, this time around, the second leg will be at the Emirates stadium. Theo Walcott is a player that is consistently critiqued for many reasons. Ongoing injuries and inconsistent performances are the major things that many people do not believe that Walcott deserves to be in Arsenal.